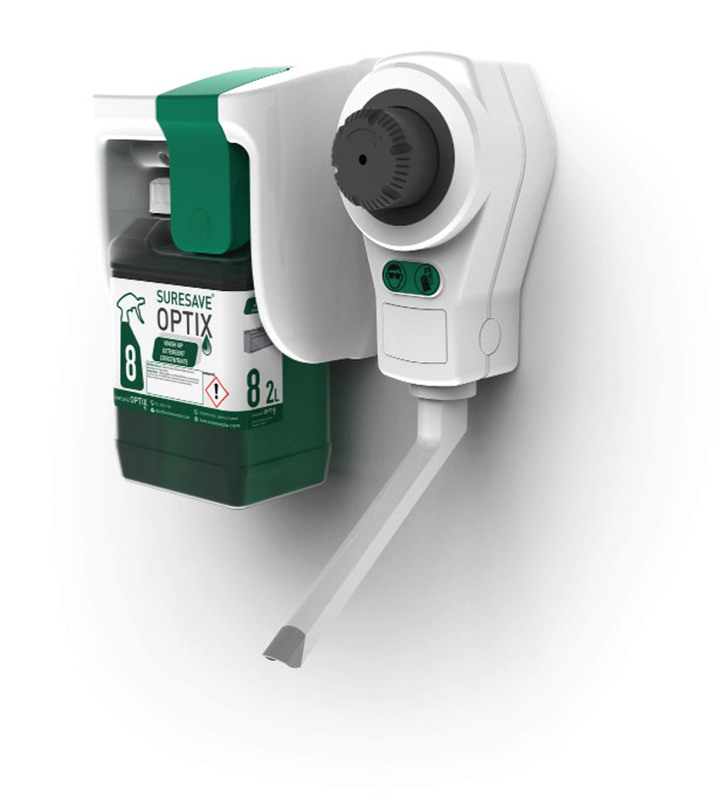 Modern and functional, the SureSave® Optix design enhances simplicity and ease of use, providing control and accurate chemical dispensing. 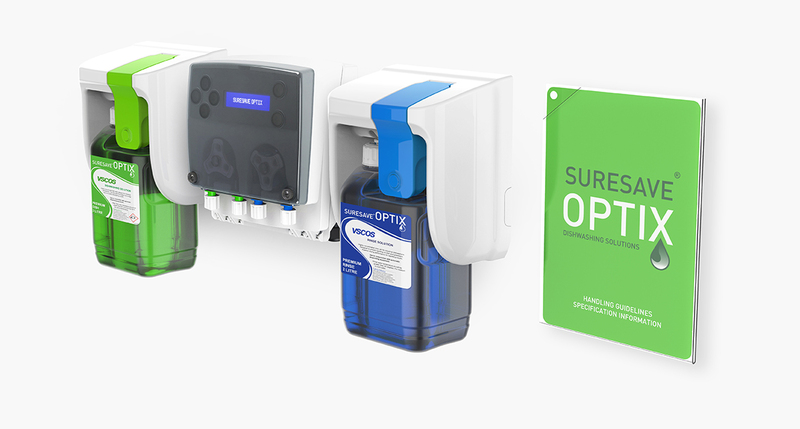 The colour-coded system clearly links the equipment, chemical concentrates, dilutions and specification documentation installed. 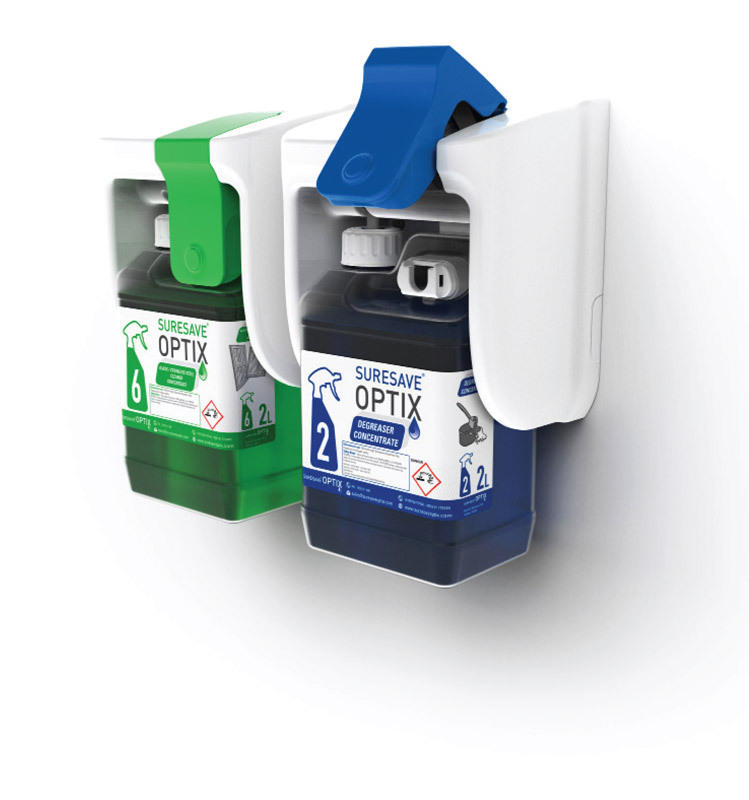 The plumbed dispensing technology and simple push and fill mechanism of the SureSave® Optix system simultaneously blends the chemical concentrate and water, delivering an instant and accurate dilution. 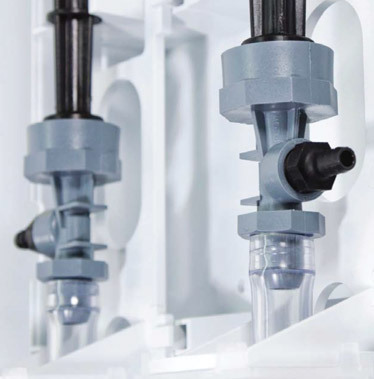 The patent pending housing establishes a connection between it’s container and dispensing device, creating secure integration and setting a benchmark for simplicity, control and safety. 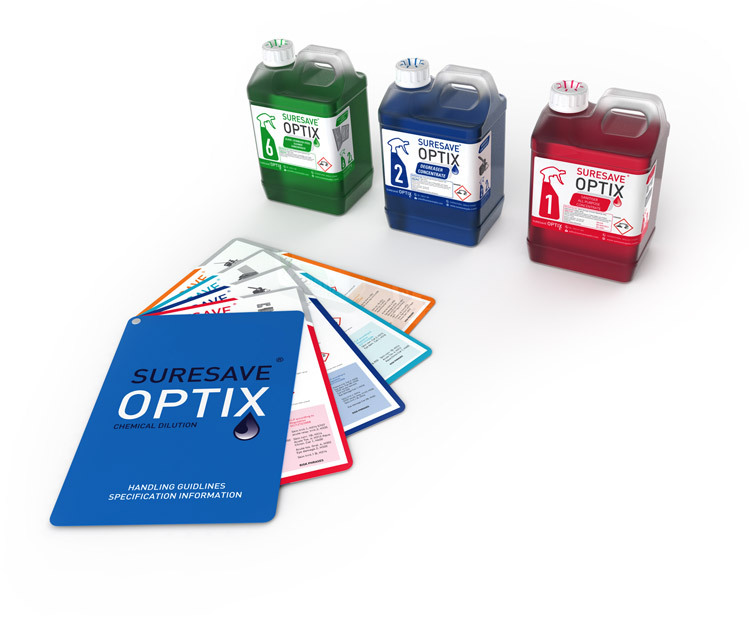 SureSave® Optix EN certified concentrates are specially formulated for food preparation and healthcare applications. Colour coded user tutorial documentation with bespoke wall charts are provided with every dilution system installed. Additional concentrates are formulated for the cleaning of glass, metals, floors, washrooms and general degreasing. 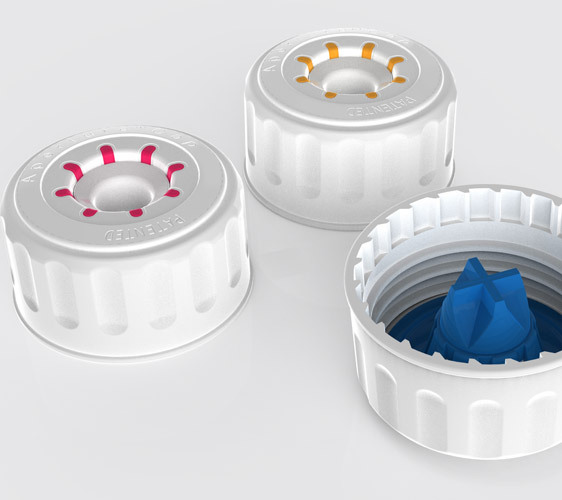 Once fastened to a container, the SureSave® Optix Irremovable Cap cannot be re-opened, detached or removed.The irremovable innovation provides a simple and secure solution to the dispensing of liquids that need to be extracted from containers in controlled quantities. This prevents misuse, pilferage, contamination and waste, therefore reducing cost. 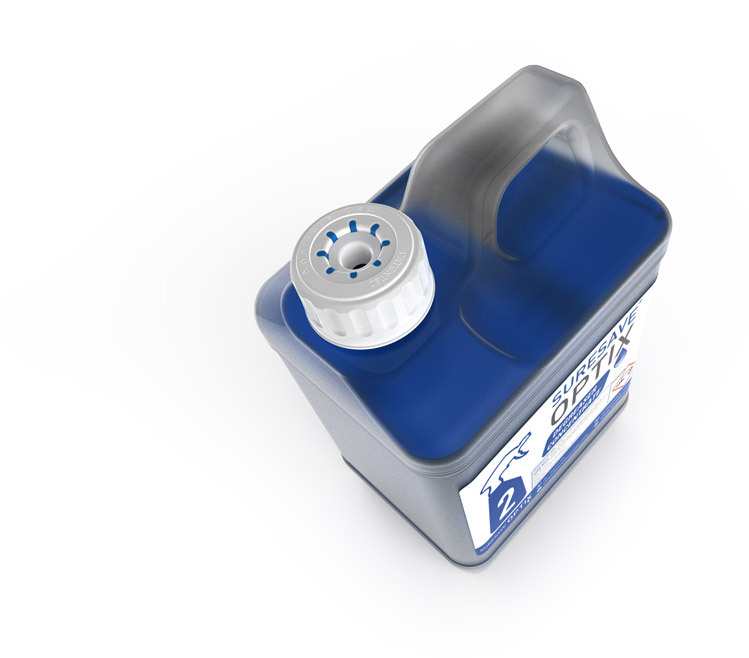 The unique one-way valve and pre-use seal safeguards the chemical contents within the container. This prevents many conventional waste problems, ensuring safety in transportation and storage. 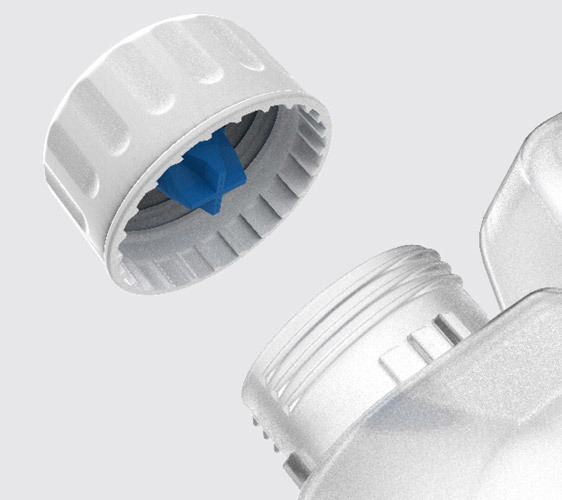 The irremovable dispensing container cap provides the consumer with the confidence that the chemicals purchased are being utilised in the correct and controlled way.Being able to unscrew or remove a cap closure from a container would not provide for this. 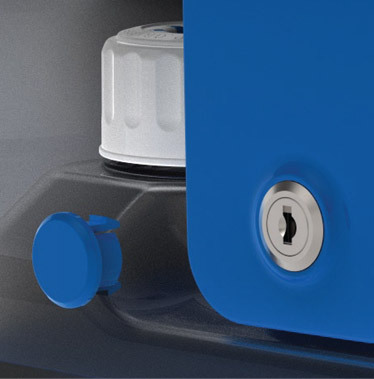 If extra security is required, a keyed barrel lock can be fitted to the unit. Otherwise, a simple blanking moulding is inserted to cover the resultant hole. 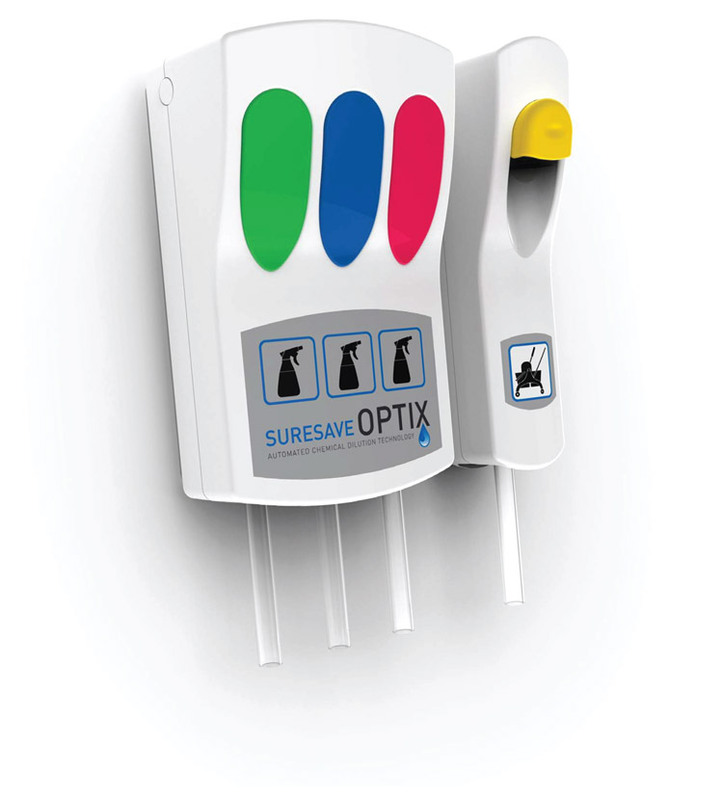 A secure integrated system for SureSave® Optix may also be provided for customers without the need of a plumbed water supply. 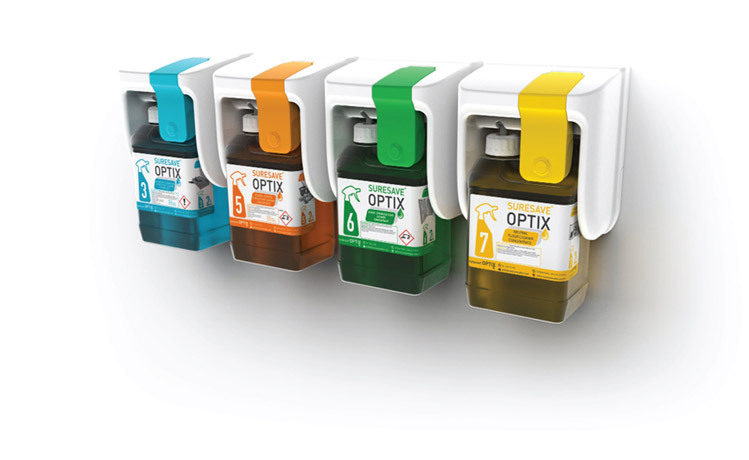 Colour coded and numbered labeling ensures a simplified cleaning system, which overcomes language barriers. This avoids any misunderstanding on the proper use of the chemicals, making them suitable for anyone to use.